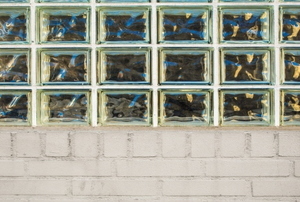 Brass fixtures, glass blocks...it's time for them to go! 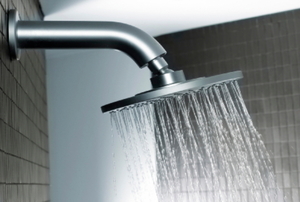 Read this article for advice on waterproof bathroom walls. Create a vintage aura with a few choice pieces. 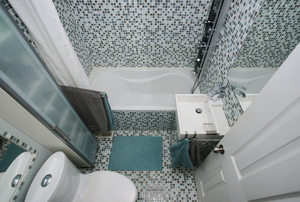 Read this article for advice on making your small bathroom feel larger. 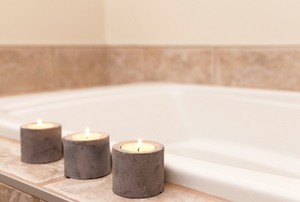 Our in-house expert answers a reader's question about choosing a bathtub. 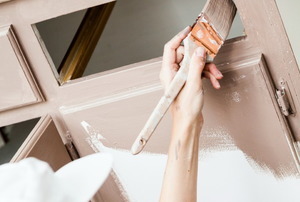 Follow these steps to paint a bathroom. 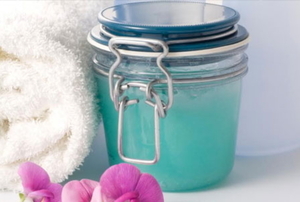 Try these methods to save money by frosting your own shower doors. Selecting Bathroom Rugs: What Materials Are Best? 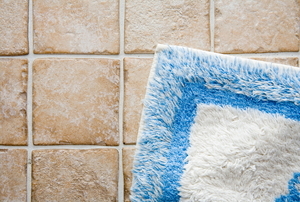 Read this article for advice on choosing the material for your bathroom rug. Follow these steps to install bathroom wall paneling. 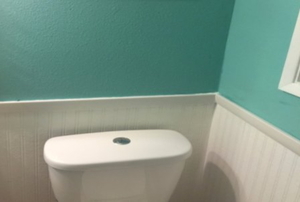 Follow these steps to install bathroom wainscoting. Follow these steps to make your own shower curtain. 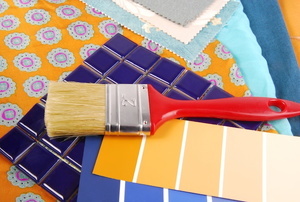 Read this bathroom decorating advice. 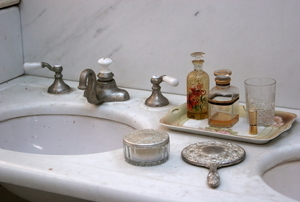 Read this article for advice on vintage bathroom decorating. 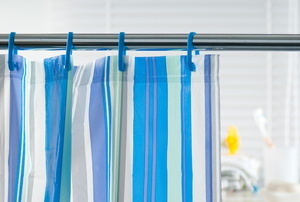 Read this article for advice on decorating your shower curtain. 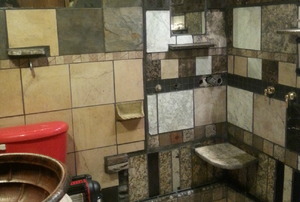 Read this article for advice on southwestern bathroom design. Follow these steps to build a linen closet. Read this design advice for guest bathrooms. 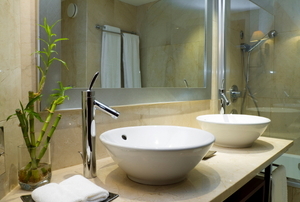 Read this article for advice on easy and inexpensive ways to make your small bathroom seem smaller. Consider these popular themes for your bathroom. 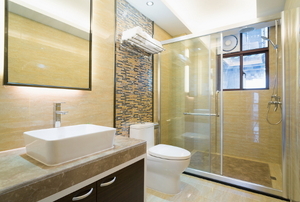 Read this article for information on over-the-toilet and freestanding bathroom cabinet kits. 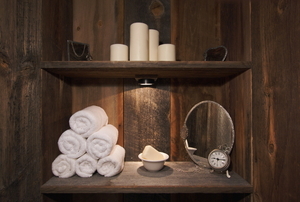 Read this article for advice on designing a rustic bathroom. 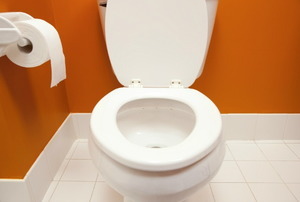 Read this article for advice on finding a unique toilet seat for your bathroom. 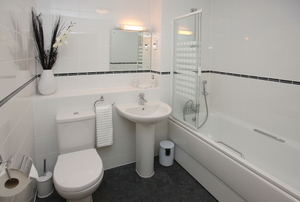 Read this article for fast and easy bathroom design advice. Read this article for advice on creating a themes bathroom with a new shower curtain and a few accessories. 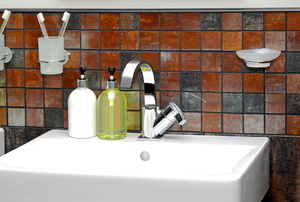 Follow these steps to remove bathroom cabinets. Art deco design is coming back. 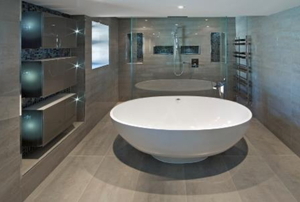 Read this article for advice on decorating your bathroom in art deco style. 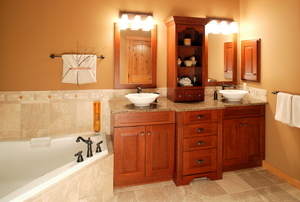 You don't need to replace the cabinets to give your bathroom a fresh face. 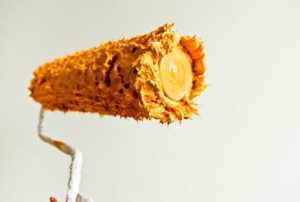 Faux finishing with layers of paint and glaze is an easy and inexpensive way to update the space. Follow these steps to complete the project. Read this article to learn about Stick'n Stile appliqués, the hottest item in inexpensive bathroom design. Follow these steps to paint a metal bathroom shelf. Formica and other laminates are popular materials for bathroom cabinets, but they are easily damages by moisture when not installed correctly. 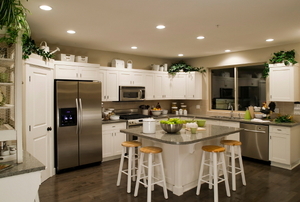 Follow these steps to install Formica cabinets. 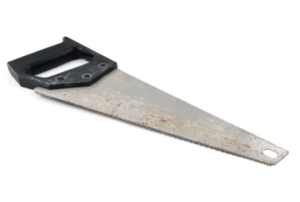 Wall paneling is difficult to cut because it splinters and crack when done incorrectly. 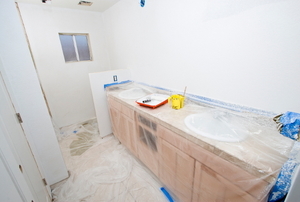 Use these pointers to make clean cuts to your fiberglass bathroom wall panels. Read this article for advice on designing a customer shower door for your bathroom. When using tiles in your bathroom, the only limitation is your own imagination. Read this advice on novelty toilet seats. 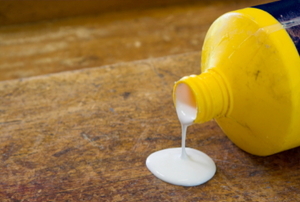 Read this article for advice on how to deal with excess glue on wall panels. 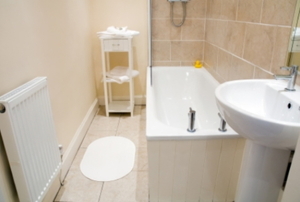 Read this article for advice on preparing your bathroom for children. Consider these European designs for your bathroom vanity. 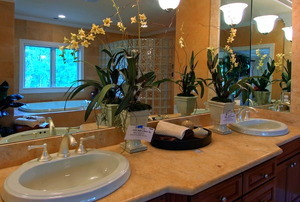 Read this article for information on bathroom design in the New Millennium. 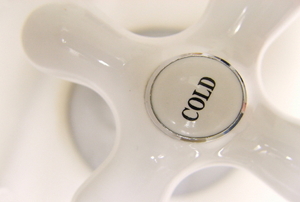 Read this quick article on toilet seat covers. Read this article to understand the benefits of bath rugs. 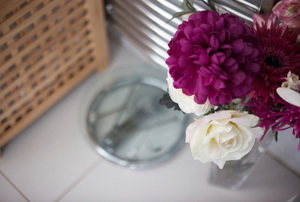 Read this article for advice on creating a personal design for your kitchen or bathroom. 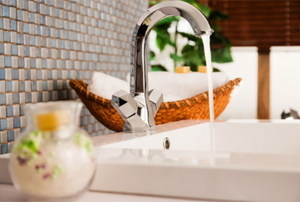 Read this article for advice on making your bathroom a luxurious repose. 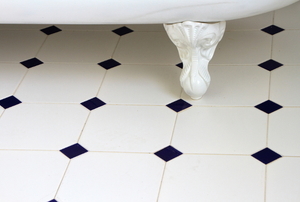 Read this brief advice on vintage tiles for your bathroom.